Nine local authorities have not drawn down any allocated funds for Traveller accommodation in the last year, the Oireachtas Housing Committee was told. The committee heard from two members of the newly formed Expert Group on Traveller Accommodation, Professor Michelle Norris and Mr David Joyce. Prof Norris told the meeting that nine local authorities - Laois, Mayo, Monaghan, Westmeath, Longford, Wexford, Kildare, Galway and South Dublin County Council - had not drawn down any funds. She said the data supplied to the group from the Department of Housing shows that 67% of the total budget for Traveller accommodation over the last ten years has been drawn down. However, Prof Norris added that the draw down levels varied considerably between local authorities. "Some local authorities have drawn down almost all the money available, and then some local authorities have a zero draw down rate," she said. 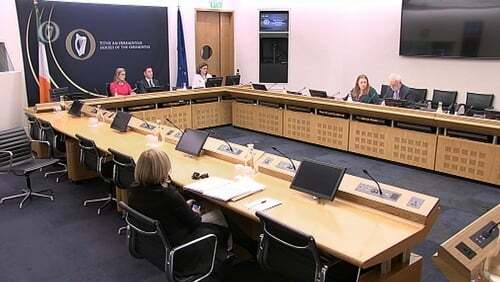 Independent Senator Colette Kelleher told the committee while there had been a recent media focus on Travellers not taking up accommodation, there had not been a focus on the under-spend by local authorities. "I want to put on the record the under-spending in Tipperary which was the local authority in the eye of the storm. In the last 18 years, they under-spent to the tune of €4.7m," she said. Several committee members raised the prospect of sanctioning local authorities who do not spend their Traveller accommodation funding by withholding other funding. Fianna Fáil TD Pat Casey said there was an urgent need to get to the bottom of the under-spend and said consideration should be given to removing the Traveller accommodation function from local authorities if the situation persisted. Committee chair Fine Gael TD Maria Byrne cautioned against removing the function from local authorities as this risked "adding a layer of bureaucracy". She also called for clear communication and leadership from local authorities. Prof Norris said they would examine solutions such as financial sanctions, however, she said the centralising of function would be "a last resort recommendation". Sinn Féin's housing spokesman Eoin Ó Broin also said he had no doubt that prejudice operating at community, political and management level was a key factor in slowing individual projects. "I just think we have to be honest about that. And where prejudice is clearly a barrier we have to find mechanisms to put in place to take those decisions away from some of those people. Or at least have the sanction of those decisions being taken away and handed somewhere else to deliver," he said. Solidarity-PPB's Mick Barry also raised the comments about Travellers during the recent presidential election campaign, describing it as the "elephant in the room". He said while it was not unusual for candidates to play the "Traveller card" during local elections, this was on a different level. He accused presidential candidate Peter Casey of "cynically stirring up and appealing to anti-Traveller attitudes in society". The group met for the first time on 15 October.